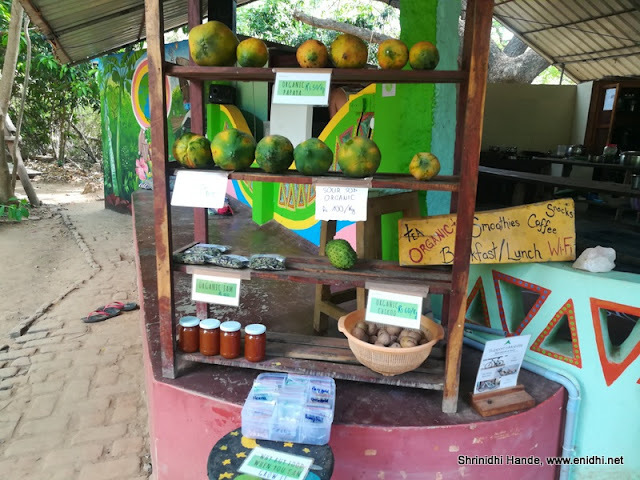 When I was invited to join "A food discovery trail to Auroville" by the recently started experience travel company- the Soul Window, I realized that this plan syncs well with my already planned Pondichery trip, so I readily agreed. 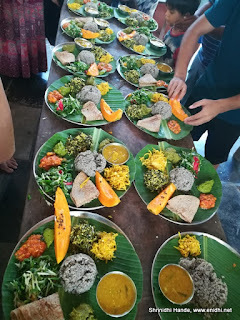 Though I didn’t have exact idea on what to expect, based on the provided description I felt it will be a good idea to spend some time in a farm and knowing a bit more about the farm products, food we eat and simple changes in our life that can have significant difference to overall community. 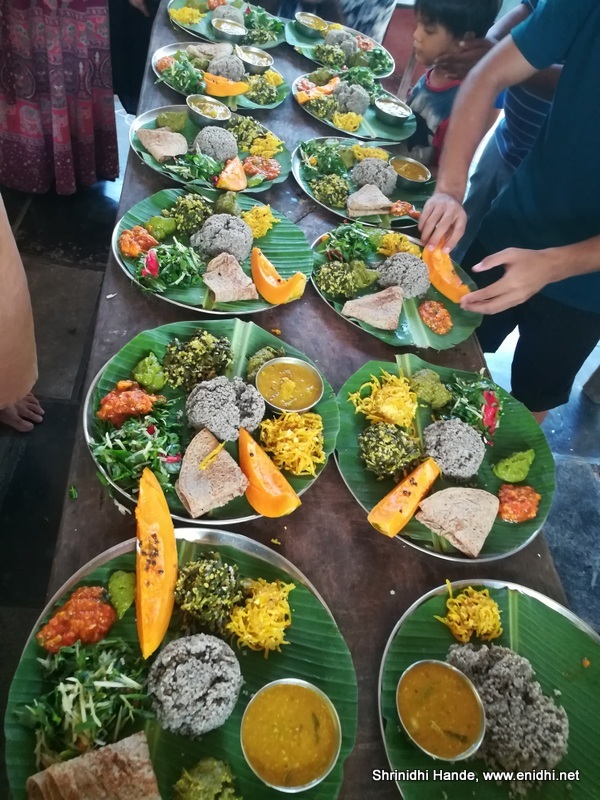 This post shares my experience spending a day at the Solitude Farm in Auroville with Krishna McKenzie and other participants. On the day of the event, I was scheduled to go inside Matrimandir first- read detailed experience here. We came out by 11 AM. 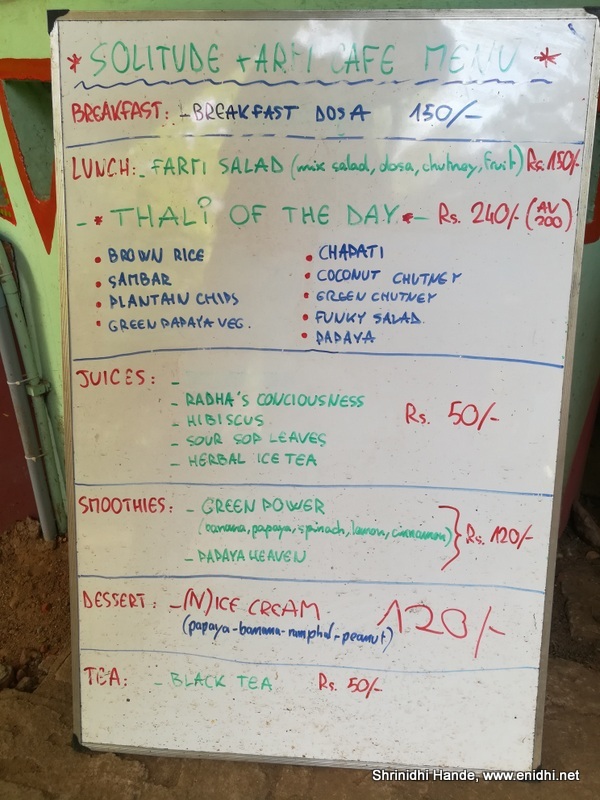 The solitude farm is actually just a km away from Matrimandir- but I didn’t realize this- lost some time in going back to Matrimandir visitor centre, then go to bike parking and then take a circular path back to solitude farm. 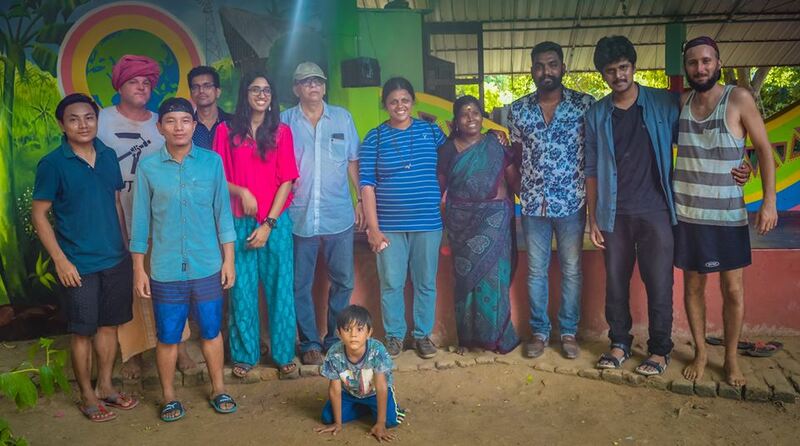 I was late by about 30 minutes and the team from Chennai was waiting at the farm. Mr Krishna McKenzie, who is a UK national but has made Auroville his home by taking up volunteering at Auroville was in charge of Solitude Farm. He has spent decades in Pondichery cultivating this farm- speaks good tamil and had lots of insights to share. Food miles: We need to consider how far the food we eat travels from its origin to us. The apple we eat travels all the way from Himalayas, traveling 3000+ kms. More the food miles, more pollution it causes- while being transported, stored etc, more the resource it demands (to make the truck that transports this food etc) and so on. 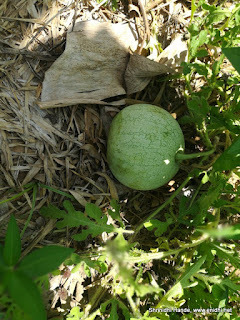 To avoid harming environment, we should all try to eat more and more produce which is cultivated locally and doesn’t involve long distance transportation. If you can grow something in your own garden and eat, then food mile is zero, which us super great for mother earth. Ecological Value: Along with food miles, it is important to understand ecological value of a food product. Some plants have very high ecological value- they grow without needing harmful fertilizers/ chemicals, they don’t harm other plants around and grow without too much maintenance/ watering. 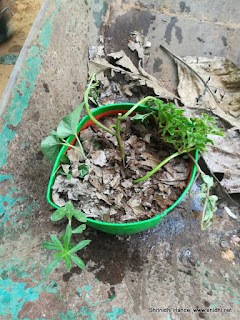 The stem, leaves etc from the plant can be further reused as compost, feed for animals and so on. These kind of products which have high ecological value should be encouraged over commercial farm produces which might have much lower ecological value. Krishna spoke extensively about the urgency of the need to revert to farming. His points were similar to what I had heard from Mr Naveen who manages goshala and farmland at Art of Living’s global HQ in Kanakapura, Bengalauru [Details here]. Most individuals lack basic understanding on food products and food chain- there’re lots of eatable plants that can be grown with zero effort and cost but people are ignorant about them, people have no clue which produce takes what process and effort before it can be eaten and so on – little bit of knowledge and initiative can make lots of difference. 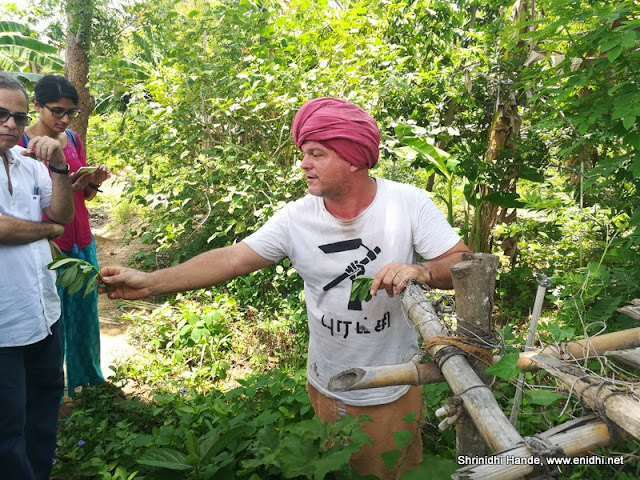 On being asked what can be done to revive the cities, Krishna felt there is very little hope for that-instead shifting focus to villages, sustainable farming and and some lifestyle changes are ideal solution. 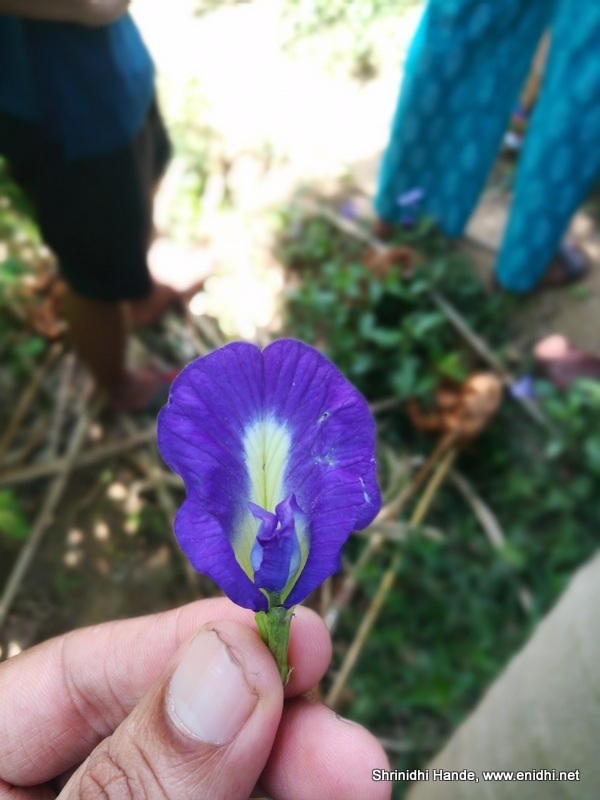 This purple flower, known as Aparajita flower or Butterfly pea plant flower can be boiled and had as a juice. We were guided to make a salad from a dozen different items produced from the farm. 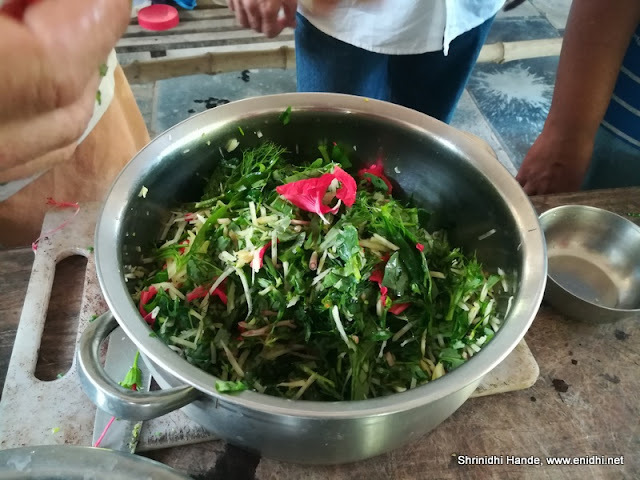 We washed the leaves, chopped them, added some ingredients like lemon n salt and mixed them thoroughly-the salad was ready. A chutney was also made mixing groundnut with various green leaves from the garden. Juices were made from the hibiscus flower- which when boiled became purple and when mixed with lemon, turned pink. More juice was made from boiling the purple flower. I will add a video of this soon, do check back over the weekend. We had an organic lunch with all items made locally at the Solitude Farm's cafe + kitchen. What was on the plate? 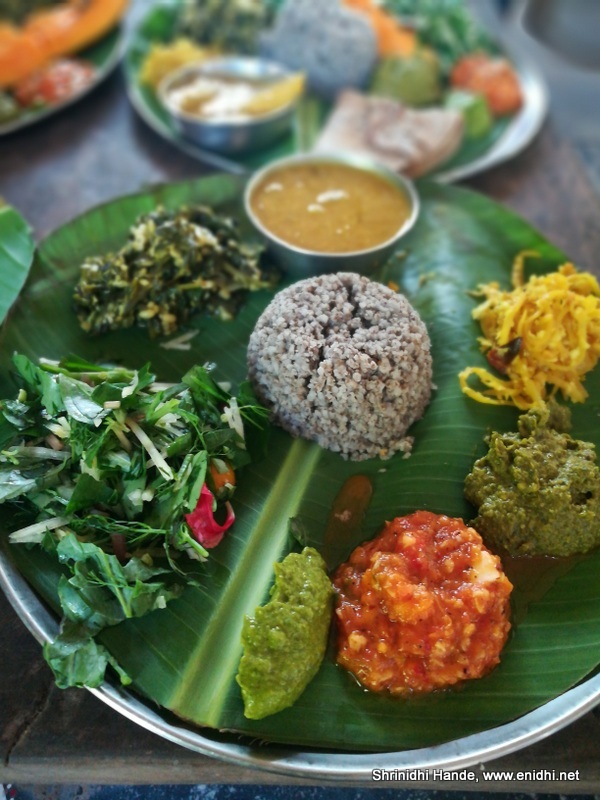 A large slice of Papaya fruit, a bowl of varagu millet, the salad and chutney we had made from farm products, a dosa made by the staff, a papaya chutney, another chutney n salad made in the kitchen, a palya and drumstick sambar made our lunch. You can refer the images above or the first image for detailed look. 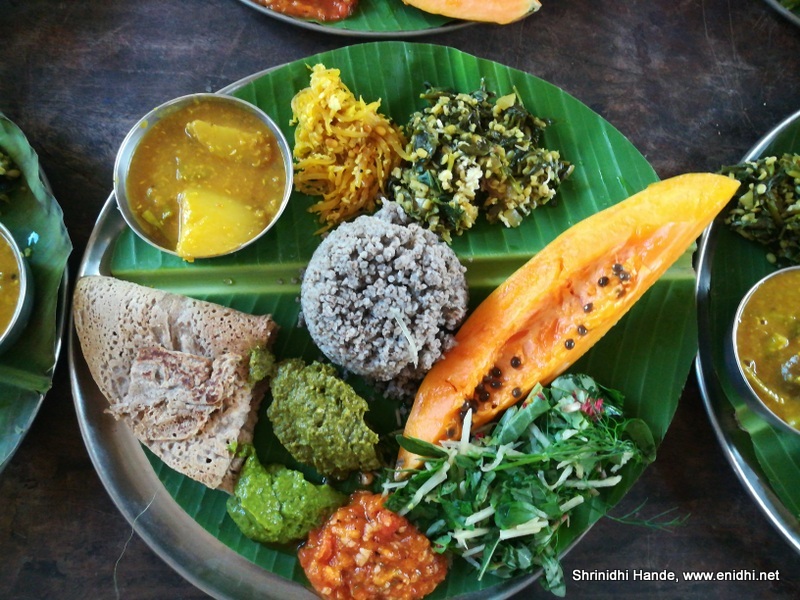 Eating a fully natural food, without any factory made ingredients is a different experience. Add to that the fact that some of these-salad, chutney etc were made by ourselves makes it even more enjoyable. 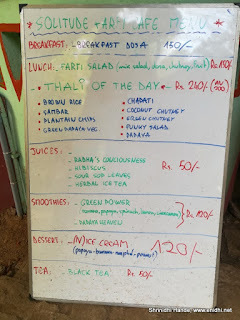 We were also served an organic ice cream which seemed to have papaya content. We were told no milk and sugar is used for the ice cream. This should trigger a thought in all of us-why not make an effort to produce some of our food ourselves? What can be done to reduce dependency on factory processed food/ingredients? Are there any local substitutes for expensive fruits, vegetables and other food related items we buy? Krishna says he doesn't go by a pre-defined recipe. On different days he gets different farm produces and largely goes by his gut feeling on what to add and how much. Krishna showed us how he makes the soap in house- he said mix 3 parts of lemon peal, one part jaggery, 10 parts of water, stir once a day and keep them in closed container. Let it ferment for 2 weeks. After that add equal amount of soap nut as water (10 parts). Subsequently the contents of the container will turn soapy- can be used to wash dishes, cloths and even bathing. He didn’t explain if there’s a process to convert this liquid soap into bar. 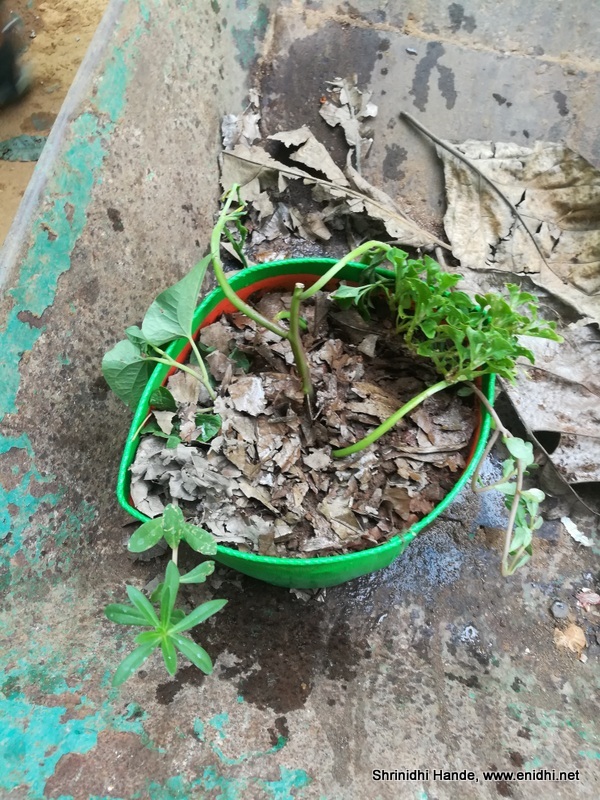 The final activity in our program was making a pot full of useful plants. Bonnie gave us all a plastic bag, which we filled with fertile soil. Krishna provided us with half a dozen different plants that can be grown in this small pot- onions and many more. Participants were to take them home, water them and consume the produce when these plants grow. 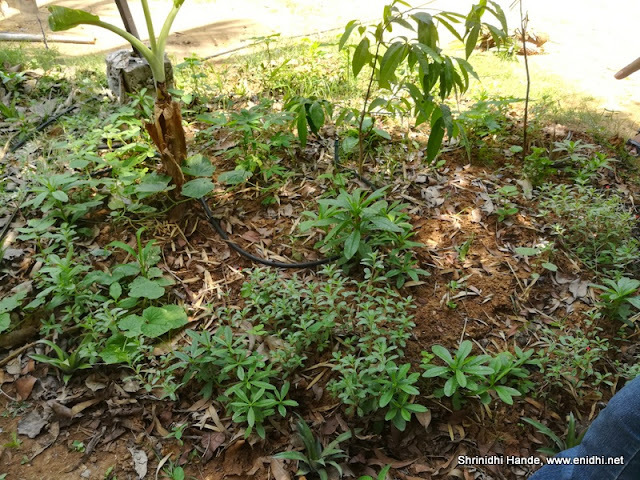 The 10by10 farm: Krishna showed us that over 20 different useful plants can be grown in a small block of 10ft by 10 ft land. If city dwellers can tie up with a farmer who can take care of several such plots, it could be a mutually beneficial association for both. Krishna mentioned a basket scheme in which subscribers pay around Rs 500 and get a basket full of fresh farm products at regular intervals.. Understand the food mile and ecological value of food products- buy items which are grown locally or as close to your town of stay as possible. Inculcate sensitivity about the food chain in the younger generation. They should be aware that milk is given by a cow and doesn't automatically come in a packet. We left the farm by about 4.30 PM. It was a great eye – opening experience that helped us understand nature and farming a little more. The trip was organized by The Soul Window, a new experience travel company based in Chennai, started by Bonnie Jose and Madhuri Narayan. They organize on demand, customized trips based on your needs or you can join their pre-scheduled trips. More details on their website here. Its like we all r in retrace. This trip is like going back to our roots. I love such trips which are informative, intriguing and interesting.Will ping you for more details! That was a very enlightening Pond-trip, I see. The food miles point is a great one -- it's inversely proportional to the freshness too, right? DN, Yes.. but freshness can be artificially maintained using freezers and some traders plan such that a fruit ripens in transit and appears fresh as it reaches destination. Not raw rice. It was varagu millet. Soap is 3 lemon peal, one part jaggery 10 parts water ferment for 2 weeks with little yeast then add equal amount of soap nut as water. Thank you very much- Updated the post.